In order for God to accomplish what He wants in our lives, we have a part to do. We have to be willing to do what God asks us to do. God took His people on a journey so they could learn that whatever they needed, they could trust Him to provide. 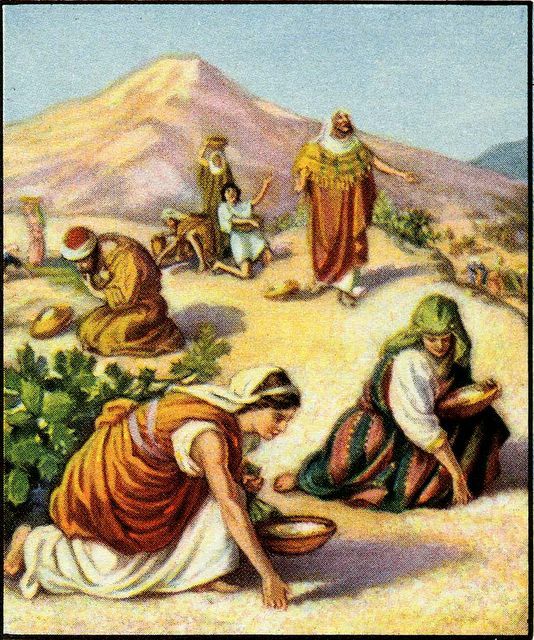 Exodus 16 tells the story of the Manna. He could have dropped Manna on top of peoples' tents. He could have had angels knock on the door and deliver it. But no, He gave the Children of Israel a task to perform, so they could be blessed. Ellen White had a lot to say about effort. There is a part that God has, and a part for man to do. "Without human effort divine effort is in vain." Adventist Home 207. God doesn't drop money on us from the sky. We might receive a phone call telling us to apply for a job. Or there might be job posting in the newspaper or on the Internet. Consider another of the great stories in the Old Testament: Crossing the Red Sea. What if each person had said, "I'm not sure I want to go." Or "If He wants to save me this way, He needs to get me across the water." That isn't how God works. He split the water because He wanted them to move across. Another example: your marriage. It takes effort. At first I thought I would say "Jump!" and my wife would say "How high?" - because we had this love thing going. But sometimes there are disagreements, and solving problems takes effort. My wife loves effort. At the end of the day when her feet hurt, she likes a foot massage. That is my part. Medical people know about effort. One of the first things they have you do after hip and knee surgery is walk. Because they know your body will heal faster if you are making an effort. Jesus' life is an example for all of us - constant effort in reaching out to help others. So when I commit my life to the Lord and ask Him to improve me, I have to step forward in response to what He provides. I'm grateful that I had somebody willing to go out of their comfort zone, and kept trying to reach me. I'm here because of that person's effort. Pray that you won't just be a couch potato Christian, but that you will reach out and bless others. Adapted from the sermon on 9/1/2012 by Barbara & John Beckett. For the full presentation, listen here. Former Pastor Pages are available in the archive.